Efficient planning with route optimization software. 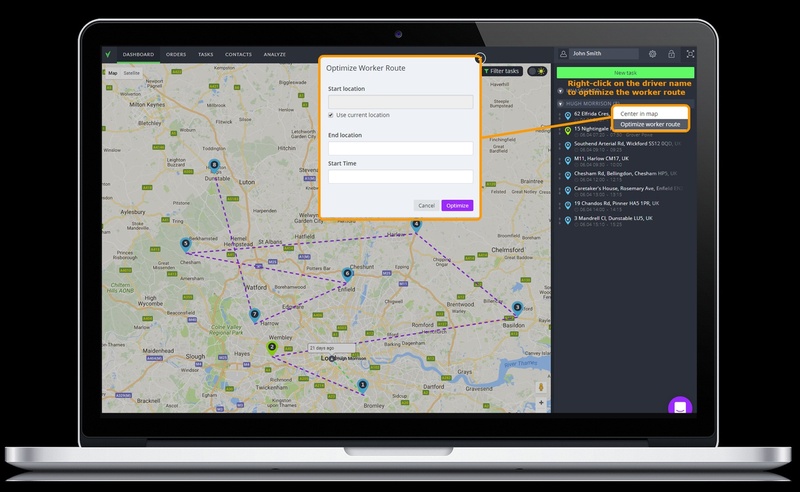 Route Optimization saves you from hours of manual planning and provides the most efficient route for your worker. Simply enter the tasks for the day and our route optimization function will provide the most efficient route. You can use a fixed start and end location (also fixed start time). Right-click on the driver name to optimize the worker route. Optimized routes avoid unnecessary consumption of fuel, which saves substantial costs to your business.